Karen Siemers is Legal consultant at Privacy Management Partners, a Dutch consultancy firm which provides privacy compliance management services, DPO services, privacy training and regulatory affairs. 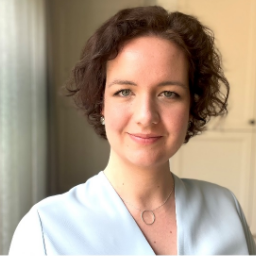 She holds Masters in Laws (LL.M) and Communication Sciences (MA) from University of Amsterdam and Utrecht, constituting a multidisciplinary background. Karen has the CIPP/E and CIPM credentials, is a member of the IAPP Faculty and helps facilitate the IAPP KnowledgeNet Amsterdam. In her work Karen provides support to both public and private organisations on privacy and data protection matters, varying from compliance with applicable laws as well as strategic privacy management. She specializes in the processing of health data and e-Health. Karen is currently trainer on privacy laws and data breach management. Aside from being a legal counsel she likes to focus on other essential topics within the domain of privacy and data protection: practical implementation, clear internal and external communication and the wider social debate.